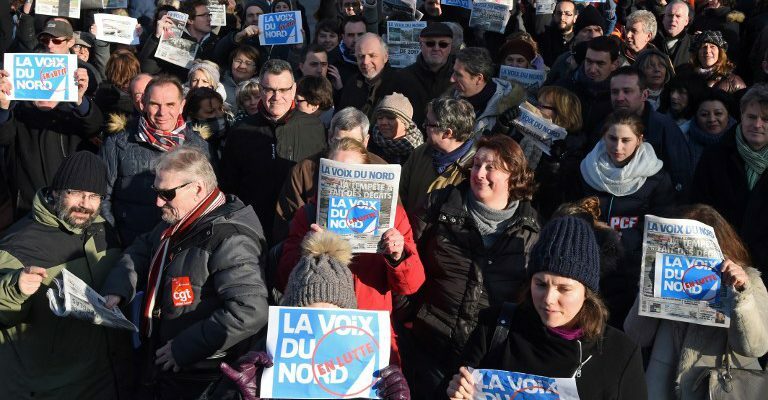 A demonstration of solidarity gathered 250 people on Wednesday 18 January 2017 in Lille, in front of the French newspaper La Voix du Nord‘s headquarters, to protest against the managers’ social plan foreseeing a 25% reduction in staff workers. La Voix du Nord‘s owner, the Belgian media group Rossel, announced in early January its plan to cut 178 jobs, including 72 journalists, while the company recorded a profit margin of 5 million EUR in 2015. Union representatives are meeting on Thursday (19/01/2017) morning the French minister of Culture Audrey Azoulay as well as the French minister of Labour Myriam El Khomri to put pressure on the owners of the daily newspaper. 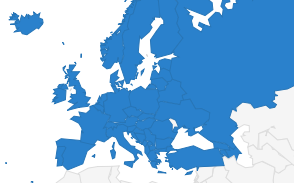 The European and International Federations of Journalists (EFJ-IFJ) are supporting its French affiliates, SNJ, SNJ-CGT and CFDT-Journalistes in denouncing a plan “without vision for the future”. SNJ-CGT warned that it will have harmful consequences on the spot: “It could lead, among other things, to the closure of the Hénin-Baumont office. In a city ruled by the National Front, whereas La Voix du Nord stood against the FN during the last elections, we don’t understand the logic…”. EFJ General Secretary Ricardo Gutiérrez added: “Rossel group’s net profit increased to +63% compared to 2014, it is merely scandalous to sacrify the staff”. 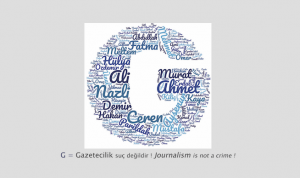 These last few days, the EFJ and the IFJ have received many messages of support from their affiliates. In Germany, DJV President Frank Überall denounced the publishers’ unrealistic policy which consists of reducing the editorial staff to perpetuate a newspaper (read here the press release). In Spain, the two federations FAPE and FeSP showed their solidarity in a press release which was read during the gathering in Lille. 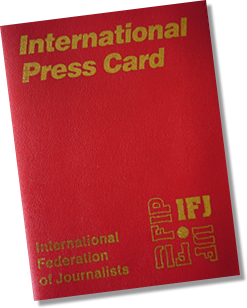 Colleagues in Greece, Russia, Montenegro and more, joined the EFJ and the IFJ to support the media workers. For more information, follow the Twitter account VDNenlutte #TouchePasAMaVoix and the Facebook profile VDN en lutte launched by the union group to inform in the aftermath of the conflict.